Dr's Remedy Jolly and Joy collection! Holiday cheer is contagious: the spirit is infectious, the charm is encapsulating. It's so divine, in fact, that you wish you could "bottle it up" - savor it, treasure it. 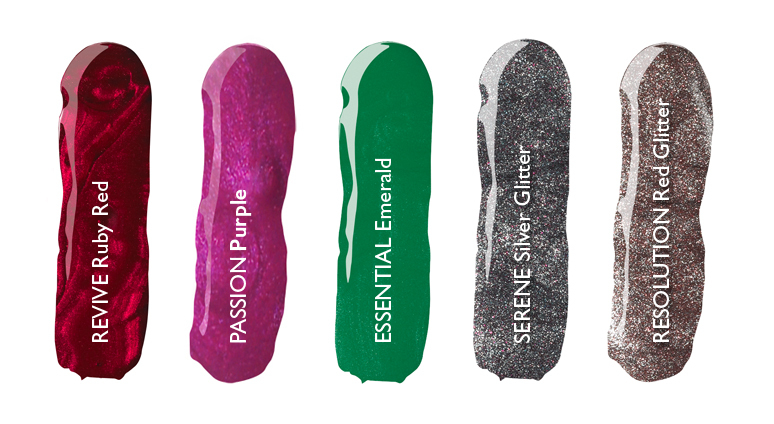 Luckily, your friends at Dr.'s REMEDY did just that this year with their holiday collection of hues: JOLLY & JOY. In the lineup, five shades that are rich, riveting, and radiant. And the best part: the colors are traditional in scope but not on scale; meaning red and green - yes, the docs have you covered. See for yourself in the best holiday collection yet: Dr.'s REMEDY JOLLY & JOY for holiday 2011. Dr.'s REMEDY is offering the following special price on selected holiday shades. 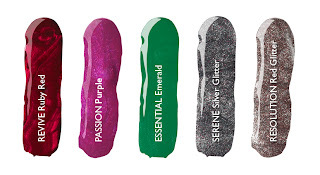 Purchase ESSENTIAL Emerald, RESOLUTION Red Glitter AND SERENE Silver Glitter for only $14 each while supplies last. 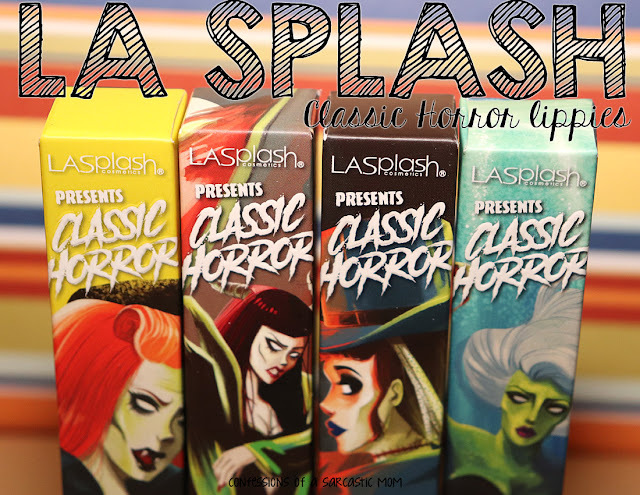 Also, free shipping on orders of $50 or more with code: HOLIDAY thru 11/18/11. 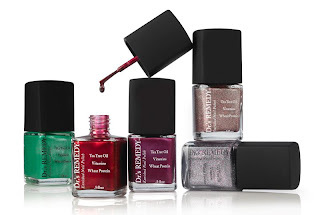 Dr.'s REMEDY Enriched Nail Polish is available for $17 online at www.remedynails.com. Dr.'s REMEDY is a line of doctor-inspired cosmetics that is dedicated to using clean, hypoallergenic ingredients. The birth-child of two New York-based podiatrists, Dr. Adam Cirlincione and Dr. William Spielfogel, Dr.'s REMEDY proves quintessentially-perfect for any person looking to better the condition of her skin and nails. Dr.'s REMEDY is sold exclusively at www.remedynails.com or by calling 877-323-NAIL.